Little remains of those settlements where the Black Death has passed through. Hasty burials make a mockery of the sacraments and set a feast for the crows. 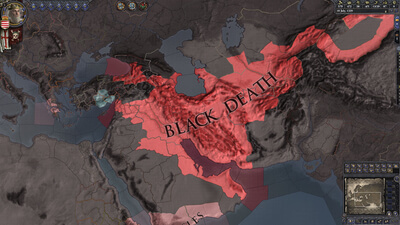 Once prosperous provinces have been laid waste, and the lord of the land hides away – secluded in his hilltop fortress, hoping the plague will pass him by. Wiser princes took precautions, and didn’t waste the revenues from more prosperous years. But, in time, all must pay The Reaper’s Due. 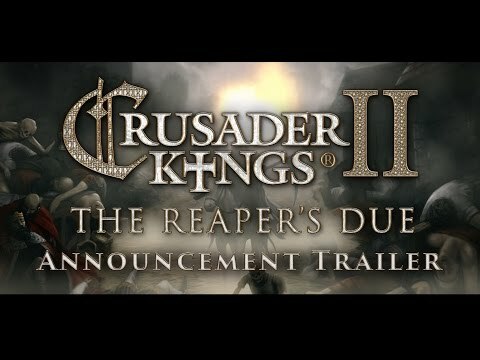 The Reaper’s Due adds a host of new mechanics centered on the Black Death and other world shaping epidemics. Lock your gates to keep the plague from infecting your court, even if it means cutting yourself off from your suffering citizens. Peace and good management will see your provinces reward you with greater wealth and manpower, but constant war and disease may depopulate your countryside. On the whole, saying something bad about The Reaper's Due is simply a dishonest stance outside of a few things. There isn't some glaring flaw or shortcoming, some aspect that feels like a punch to the gut, or something that feels super frustrating, just nothing that strikes to the level where playing without it feels like an entirely different experience. 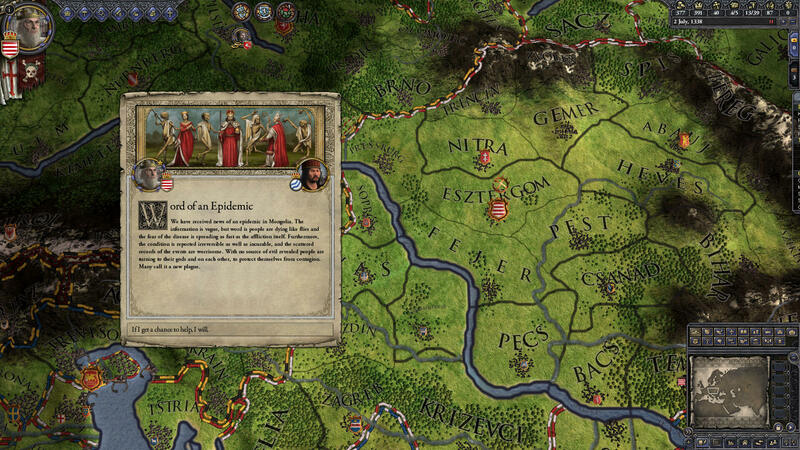 It's got all upsides, just not some major upside to make it stand out as more desirable even among its fellow Crusader Kings II expansion peers. Those that want deeper mechanics to the plagues and other things will want this, while others won't be crippling themselves by ignoring it. 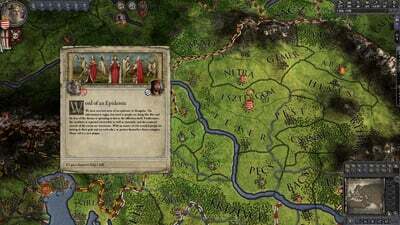 Amazing twists and new gameplay mechanics makes Crusader Kings 2 even more unpredictable and enjoyable. A must for Grand Strategy fans.